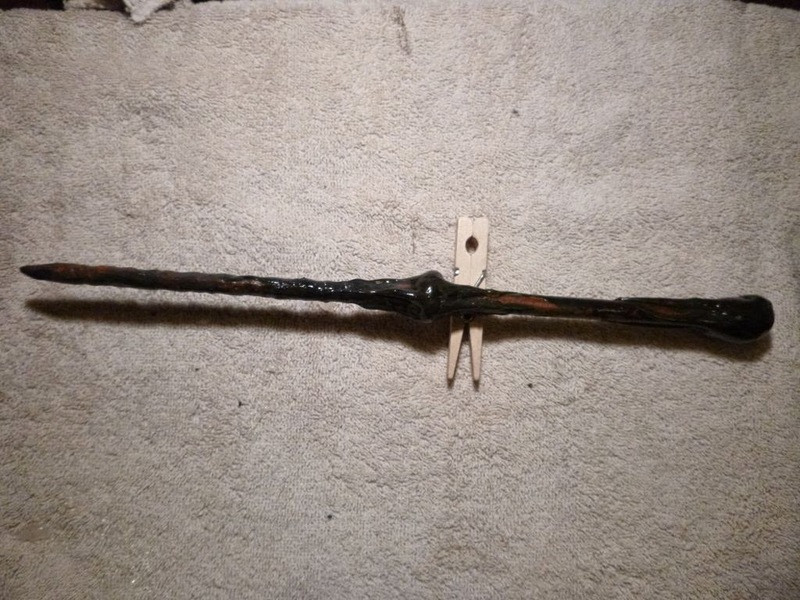 I've made a few prop magic wands and a friend asked if I could write up the process. You don't need much apart from a hot glue gun, dowel and paint. 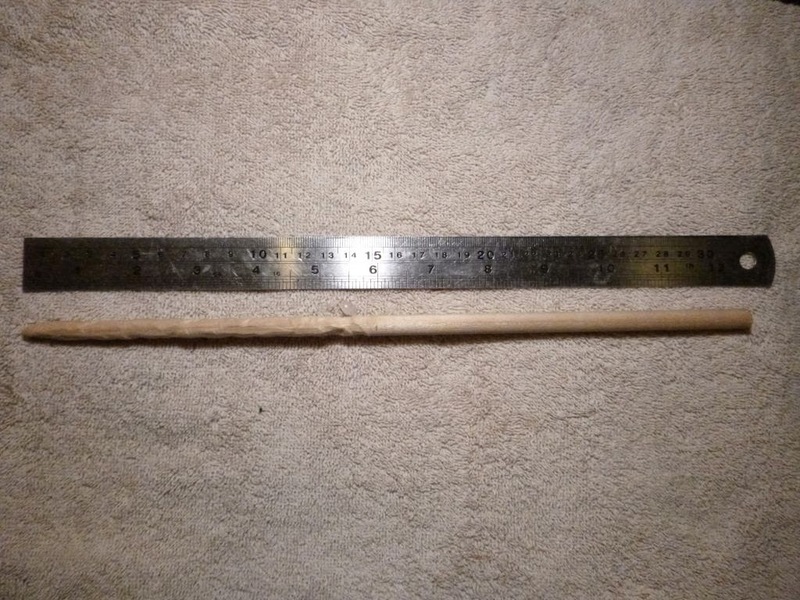 Start with a 30cm/12" piece of 8-9mm dowel. Put a point on one end and some texturing on about half of it. I used a dremel, but a rasp, file or in a pinch sandpaper will do the job. Next, use a hot glue gun to build up some organic looking lumpy bits to mark the ends of the handle section. You will want to do this in a couple of goes, allowing it to mostly cool in-between. If you try and build it up too quickly it will just run too much. 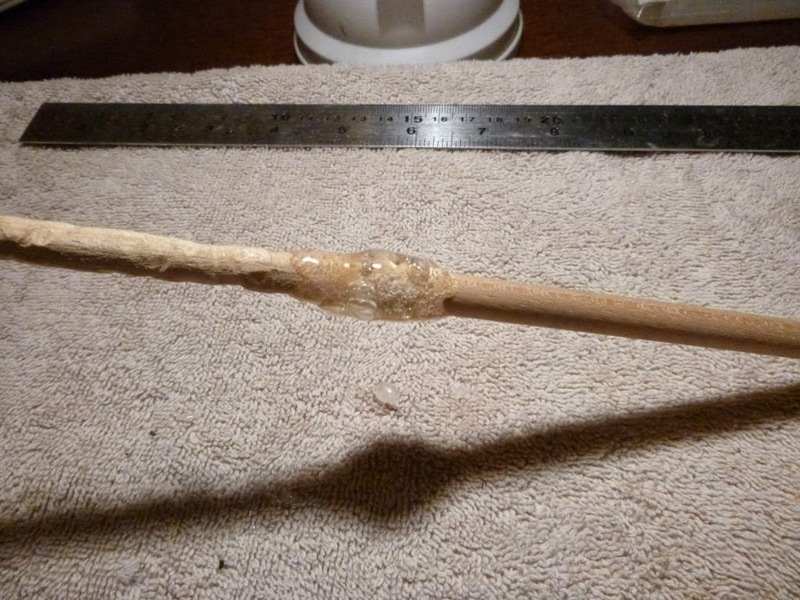 The glue tends to try and run off so use a low setting on the glue gun or keep turning the dowel. 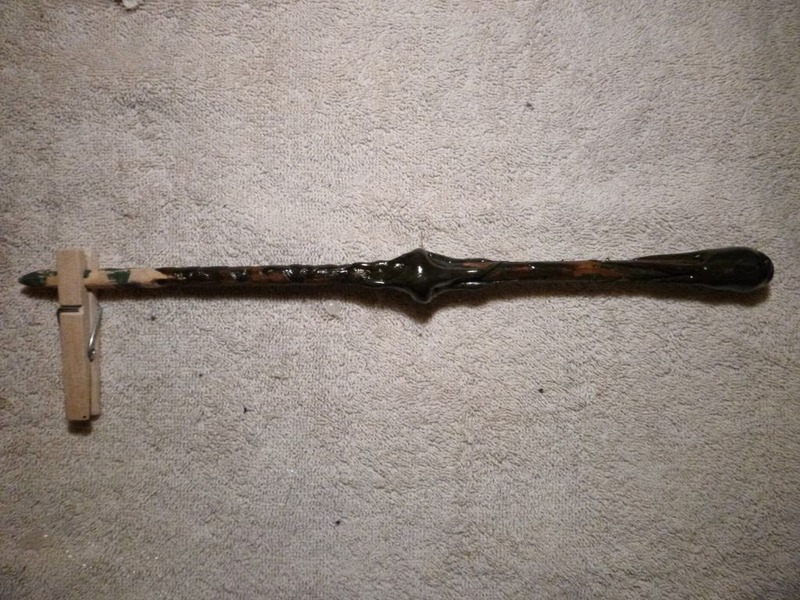 Once you've got a kind of hilt and pommel, let it set for a good half an hour or so. 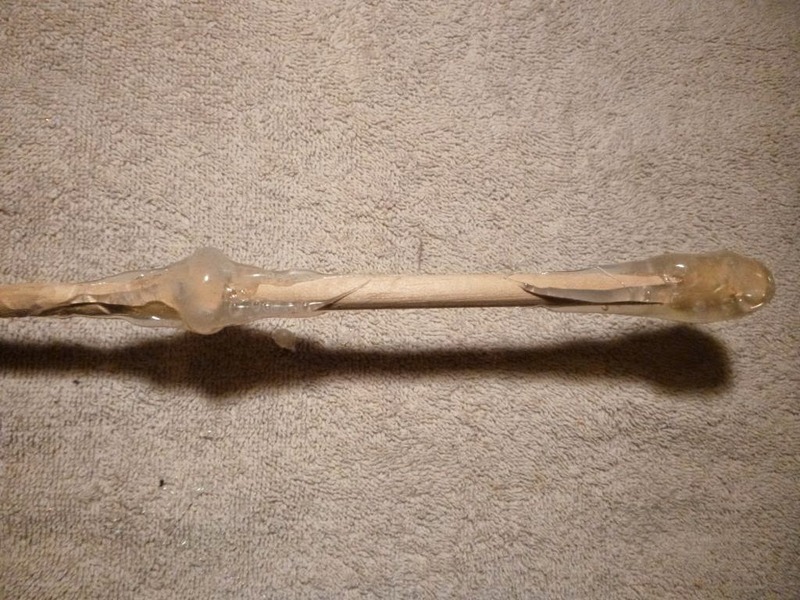 A big accumulation of hot glue like this can take a while to cool completely. Next, paint the glue with some standard acrylic paint in some kind of accent colour. 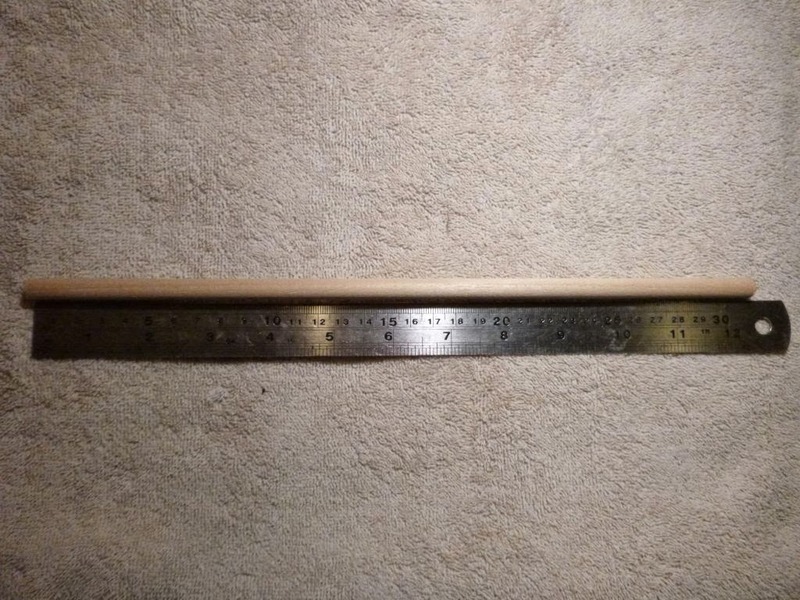 This helps the woodstain we'll use next to stick to the glue, it tends to run off without. Also, it provides some shading so feel free to mess around dabbing it on. I've not found straight lines and geometric patterns to work very well. 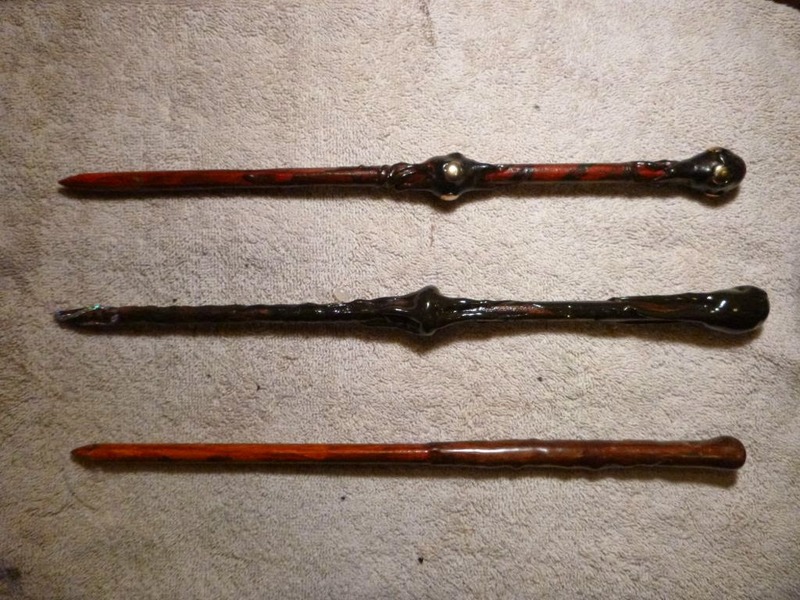 Once the acrylic is well dried, use some external woodstain to cover the bulk of the wand, holding it by the tip. Once that half is dry do the other half. 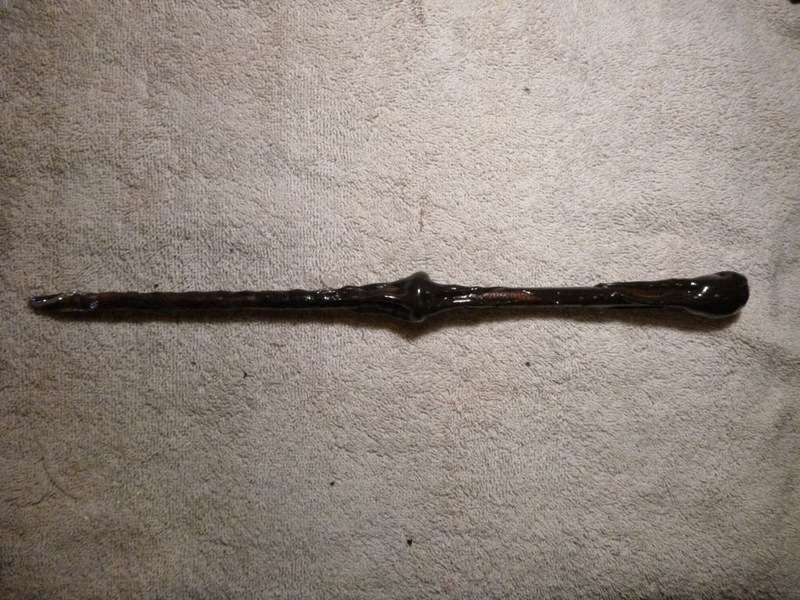 This wand is quite dark, deliberately. You often get better shading with a lighter stain. Finally I used some glue to add a little glitter at the tip. You wouldn't want to do this with every one, but this felt like it needed brightening up. 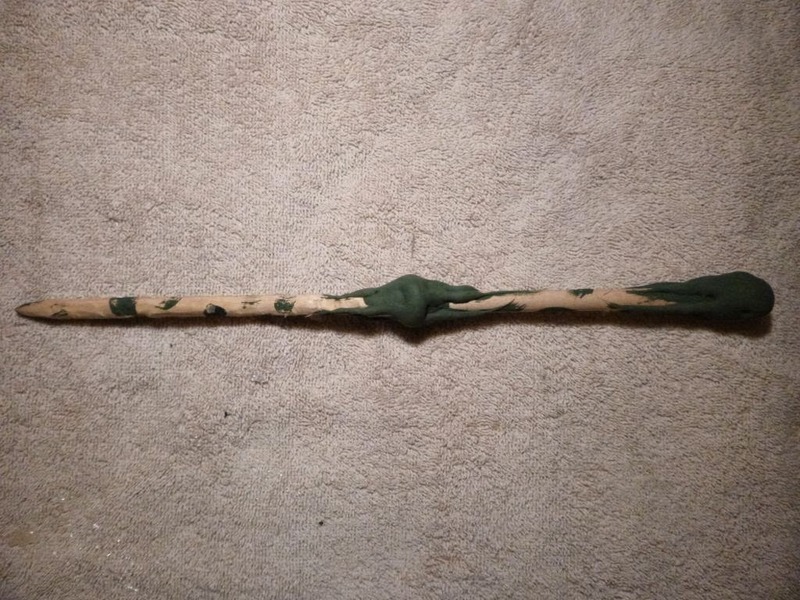 Using this method you can make a few variations on the theme so each wand is unique. I did 25 for a LARP once and had a little production line going.